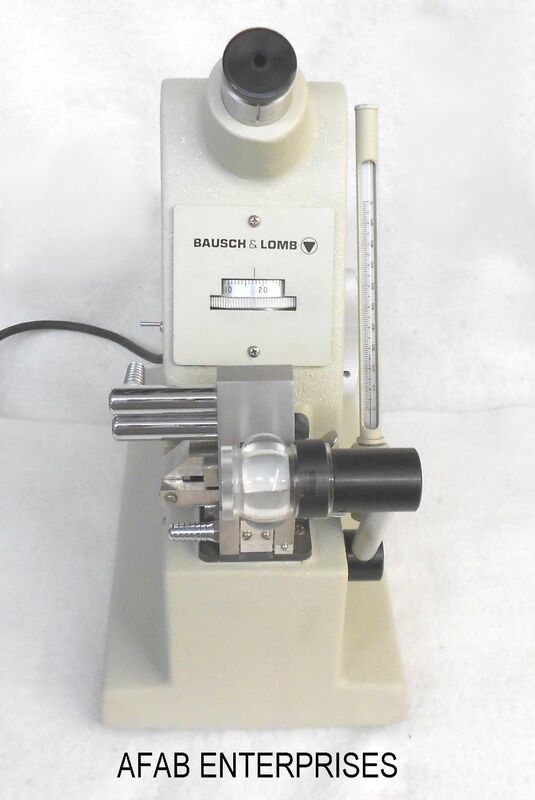 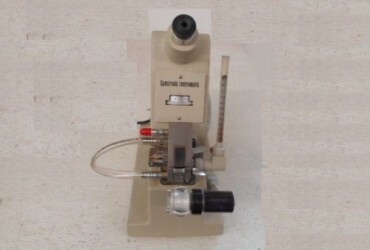 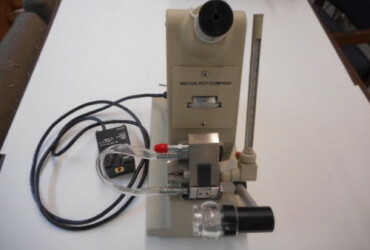 This is a benchtop refractometer; originally sold by Spectronic Instruments. 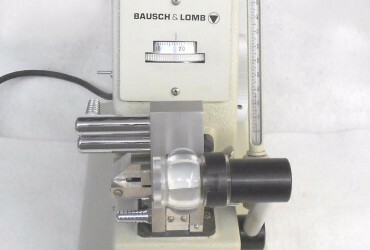 It has been inspected, cleaned, and repaired to full working order, and is in excellent condition. 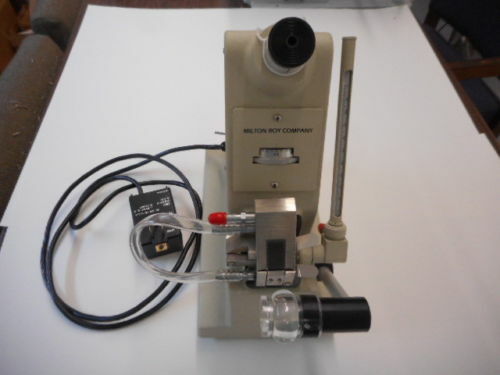 Illuminated scale gives readings in Refractive Index and percentage of dissolved sugar. 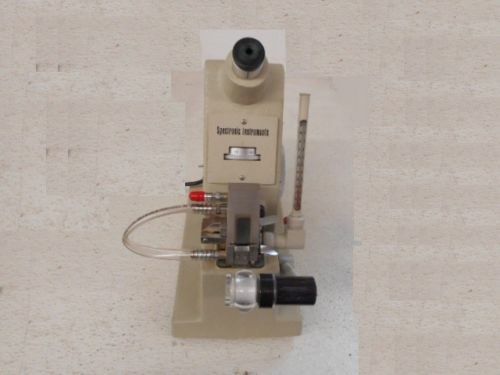 Adjustment knob allows fine adjustments for precise readings to 0.0001 for refractive index (1.30 to 1.70nD) and 0.05% for dissolved solids readings (0-85% Sucrose).